This extra warm, machine washable Grateful Dead fleece throw blanket is super soft and super cool! 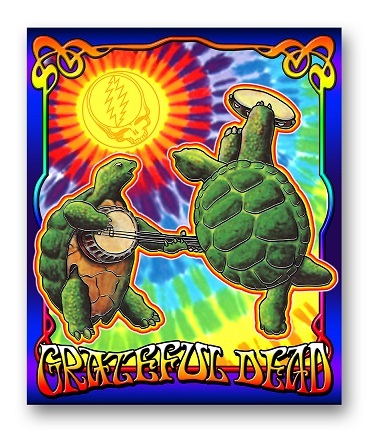 It features 2 dancing turtles playing under a SYF sun! This officially licensed Grateful Dead terrapin sunshine blanket can be used as a throw or even as wall decor! This product measures approximately 50" x 60". Makes a great holiday gift! Xmas gift for my son in law. He absolutely loved it! Colors are super bright. Blanket is nice & thick. Great quality.